Italy's credit rating was lowered by Standard & Poor's and Fitch Ratings, a blow for Prime Minister Romano Prodi who pledged to trim the government's debt and deficit to defend the nation's creditworthiness. S&P today cut Italy's rating to A+, the second-lowest of the dozen nations using the euro after Greece, saying his budget plan doesn't do enough to cut spending. Fitch trimmed to AA- from AA. The decision comes at a time rising European interest rates are raising financing costs and sent Italy's bonds lower. ``Ironically, to the extent that it raises Italy's borrowing costs, the downgrade makes it more difficult to reduce the debt and deficit,'' said Marc Chandler, global head of currency strategy at Brown Brothers Harriman & Co. in New York. Prodi, in office in May, had tried to stave off a rating cut with a draft budget that includes 34.7 billion euros ($43.5 billion) in spending reductions and revenue-raising measures. Prodi said the plan would bring the deficit back within European Union limits and lower the EU's biggest debt, currently worth almost 1.1 times Italy's $1.8 trillion gross domestic product. The nation's debt ranks third in the world behind Japan with $6.4 trillion of sovereign marketable securities and the U.S. with $4.2 trillion of Treasury bonds and bills. The spread of Italy's benchmark 10-year government bond yields widened compared to the German bund equivalent, after Fitch and Standard & Poor's downgraded Italy's debt ratings, market sources said. Italy's 10-year bond yield premium widened to 28.2 basis points following the S&P downgrade, after widening to 27.8 on the earlier Fitch downgrade. It opened this morning at 26.5, they said. Methinks Prodi is just a touch too cynical in saying this was entirely expected since S&P's explicitly stated that said the budget doesn't do enough to cut spending and relies too much on growing tax revenue to lower the deficit.Is he really saying that his inability to draw up a budget which was up to the demands of the situation was also forseeable back in May. Perhaps it was, but he shouldn't be the one to be saying this. ``Developments will now heavily depend on whether Prime Minister will decide to leverage on the downgrade to re-balance the budget, risking a clash with the radical left wing of the coalition, which will strenuously defend the current draft version,'' said Paolo Pizzoli, an economist a ING Bank NV in Milan. Prodi said in an e-mailed statement that he had shared the same concerns that Fitch expressed in its note when he took over Italy's finances after winning elections in April. ``We are certain that the next judgments, the ones that will take into account this government's economic policy and not the policy left behind by the previous government, will register positively,'' Prodi said. I am however less than entirely convinced that a downgrade from a couple of ratings agencies will do much to convince a voting public who are not already convinced by the possibility that their pension funds could become insolvent. At the end of the day all of this is playing with fire. The problem isn't this downgrade (which may or may not have been already factored in). The problem is the danger of a subsequent one, and what the ECB may then be forced to do if this happens. As I argue here, and Nouriel Roubini suggests here, playing chicken is a dangerous game. The ECB has explicitly stated that it will not accept government paper (bonds) in the future from any country which has not maintained at least an A- rating from one or more of the principal debt assesment agencies. Well, Italy is now at AA-. And here we really are at the heart of the matter: the appalling Italian Government and the appalling Mr. Prodi. This is a man who doesn't understand that you don't "attack" your productive sector willy-nilly in order to meet short-term EuroZone Budget criteria. Unfortunately for Italy this poor man's track record bodes ill for addressing the problem. His previous achievements have been to dream up new taxes. My favourite was the one where they took 0.5% out of everyone's bank balance. They announced this, announced that the balances in question would be back-dated and then simply deducted the money. But there have been many, many other quick-fix new-taxes invented ad hoc as a way to encourage Italians to thoroughly despise the political class and feel like they are making a stand for truth and justice when they avoid paying TAX. Mr. Prodi start taxing all State Pensions above Euro 2,000 a month per person at 95% and get yourself a tax windfall. Evasion won't be a problem, you can tax it at the source. That would go some way to addressing social injustice and income inequality between the generations. It may even restore some faith in your appalling economic leadership. My problems with Berlusconi would be a bit more than his dress sense, but at some level I don't disagree. Not that Berlusconi was as good as you suggest, but that his party definitely should form part of the solution here. I'm not sure I can accept as readily as you are suggesting that he really did want to tackle the pensions issue. The evidence seems to go in the opposite direction, that at the end of the day he shied away. And the deficit problem, of course, grew precisely during the Berlusconi years. Prodi was for me a huge disappointment when he was President of the EU Commission. The less than brilliant Barroso is actually doing a much better job IMHO. Prodi always seems to look for the quiet, back-room, compromise, rather than taking the bull by the horns, and this just won't work now in Italy. It is too late in the day for this. Where is - forgetting for one moment Iraq - the Italian Tony Blair???? Obviously you are right that constantly raising taxes is not the answer (as we are about to see, I fear, in Germany): affordability issues have to be addressed, but this seems to be politically impossible with the present coalition. 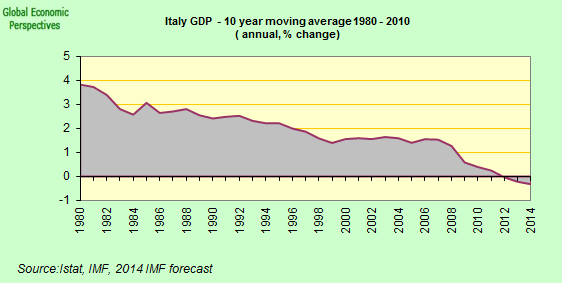 OTOH, are pensions really so high in Italy? This surprises me. Here in Spain many pensioners are on the basic minimum pension - around 600 euros a month - and the great majority are between 600 and 1,000. 2,000 euros a month would be almost unheard of here, unless of course, you are talking about high level 'functionarios' with occupation specific pension schemes. However, and whatever the implicit injustice, these are numerically insignificant. Of course this may be just one of the reasons why we are still running a budget surplus. Pensions in Italy can be colossal. The absolute minimum is around 500 euros per month by 13 months. There is NOTHING under the minimum. If you are eligible for a pension then you get the minimum, regardless of how little you may have paid. Pensions can go up to, and this is based on anecdotal evidence, of something like Euros 600,000 per year. 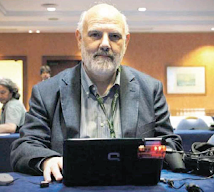 The editor of, I think, The Stampa took early retirement a few years ago to ensure that he would receive his enormous pension, which was around that figure. After which, of course, he went back to work. So he locked in his pension, which is taxable just like other income, and he continued to earn his wage and so on.... Italian politicians are eligible for life-time pensions at any age after serving just one legislature. I'm not sure how much that amounts to, but something MORE than Euros 5,000 a month. But I think we could be talking in the order of 6-8 thousand euros. (Please correct me if I'm wrong here anyone.) But the basic plundering of the pension scheme in Italy has been and IS UNBELIEVABLE. There are ex-public servants who have been on pensions since the age of 45 or so.... the whole thing is a total disgrace. You are right, Berlusconi did nothing to address the problem. The only thing that can be said about him is that at least he knew where the problem was. In the Italian political universe that is NOT a small achievement. This link gives some details on the plundering of the inequitable Italian pension system which has gone on and continues to go on. Years of bribery, corruption and bad management together with the unwillingness of Italians to pay any taxes unless they absolutely have to (usually because they are taxed at source) is also a major problem. But I don't think demographics is the problem. The problem is education and mentality. Both of which are essentially backward. How's that for a non-PC comment? FWIW Golden Pensions are defined in Italy as those of more than Euros 516 per day, which is a bit over Euros 15,000 per month.